Comments: This is a relatively large growing deciduous shrub that produces thick, entangled branches that are covered with sharp curved thorns. White fragrant flowers appear in sping as the new foliage emerges with hard, orange-like fruit following in summer and into the fall when the fruit turns to orange-yellow. This is a shrub that is normally used as a specimen in places somewhat removed from pedestrian traffic. 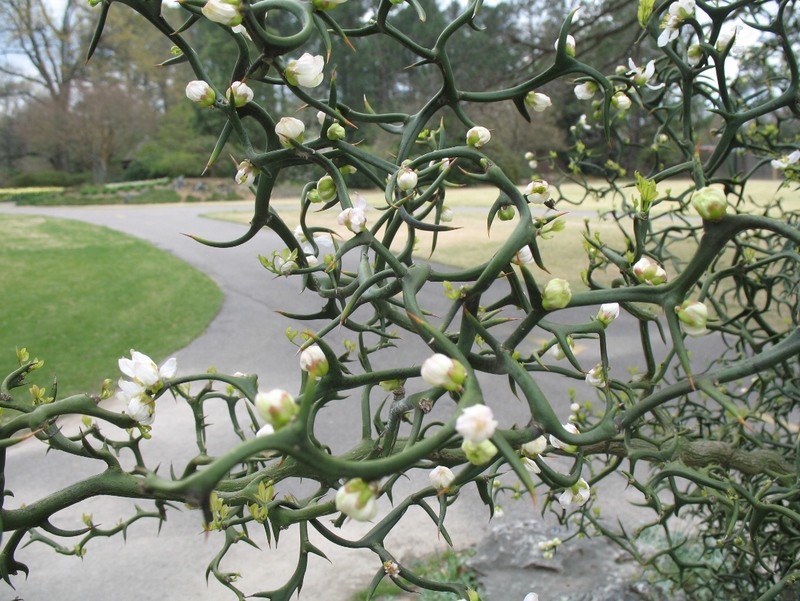 Especially picturesque in the dormant state when the green stems and thorns are more prominent. Reported to be a good plant for bonsai training.